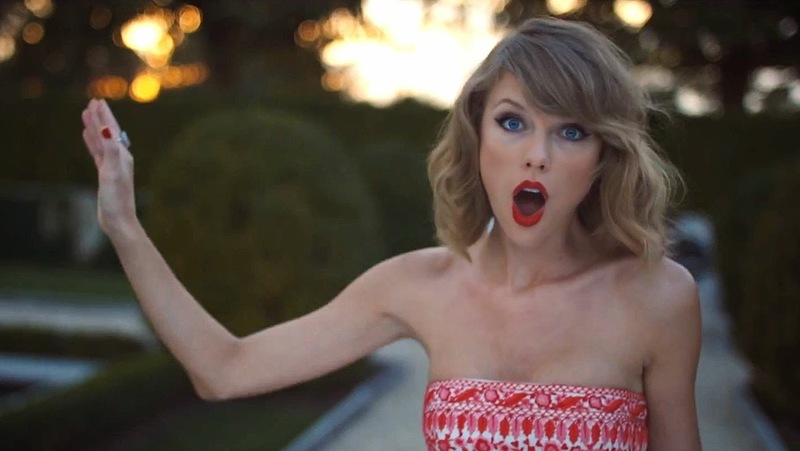 At first I had no idea what reflux was. 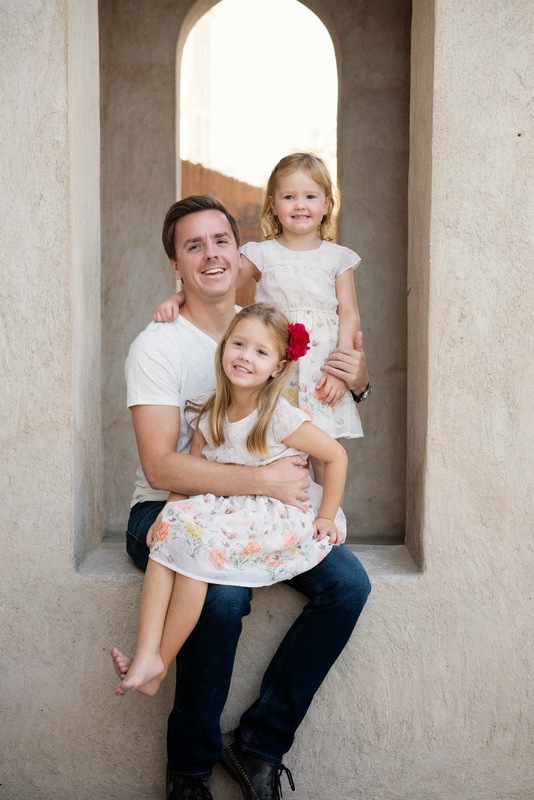 When my daughter was born, I had no real idea about things that could make life more complicated when you have a newborn, because just having a newborn, when you've barely even touched a baby before, is pretty complicated in itself. But with Miss S, it became pretty clear, pretty quickly that there was something amiss. Not something wrong, because she wasn't sick, she didn't have real problems, but something was definitely amiss. She projectile vomited every single feed. Literally every single one. I have photographs of me feeding her and I'm wrapped up in towels so tightly you'd think I was sitting in a snow storm. She would start to feed, scream a lot and then vomit everything back up. Then she'd demand another bottle, as though she'd never been fed. She was also impossible to wind, had constant hiccups and a constant cough that just wouldn't go away. At first doctors thought I was exaggerating. But when the paediatrician watched her vomit back 130 mls of formula, when she was a month old, I think he realised that I wasn't talking about a bit of spit up. Thankfully for us, as new parents, Miss S had a relatively easy fix. We propped her cot, we gave her small doses of gaviscon in each bottle and we kept her upright after a feed, and by three months the reflux had vanished. It appears that she had the relatively common reflux where the valve on the oesophagus hadn't fully developed and so it wasn't strong enough to prevent the milk from coming back up again. The difficulty in winding her continued and she needed infacol in her bottles until she was well over a year old, or she would get hiccups after every feed, and they would last for at least thirty minutes. Every time she teethed she would get another round of wind that was impossible to shift, even when she was crawling, walking and even running. in the grand scheme of things, this was a relatively simple problem to live with, and, as we were to learn later, it was just the warm up. When our son was born, it took me approximately four hours to realise he also had reflux. When Gary had gone home to Miss S, and I was alone in the hospital room, I was able to really watch Mister L. To watch when he got hiccups ten minutes after every feed, and how he vomited back a small amount of milk about an hour after each feed, along with screaming in pain. It wasn't the same projectile vomiting, but it was there. It was more than a bit of spit up, and it was half digested milk that had sat in his stomach for a long time. What I didn't realise was how different his reflux would be. That it wouldn't be over in three months, and that I'd still be working with him on it as he turned a year old. It eventually dawned on me that he had silent reflux. As soon as we moved him onto the lactose free formula the vomiting stopped, but the pain did not. We've been relatively lucky in terms of medication, in that gaviscon seems to work well for both of my children. Adding in anything else seems to make Mister L's reflux worse. So at least he's been on a relatively small amount of medication given he's now been on it for almost a year. But his reflux flares regularly. Just as we are reducing down the medication and phasing it out, something else will happen and we'll have to go right back up to the maximum dose again, get it under control, and then start the long stepping down process. Every time he gets a bug, the vomiting starts again. He usually wakes at 3am demanding a feed and then vomits it all back up as soon as you put him down in bed. So we spent weeks out of bed, changing the bedding and the sleeping bag and him and then resettling him back to sleep. When he teethes he gets horrendous wind. He won't eat enough in the day, but then when he wakes for a make up feed at night, you have to prop him up for an hour or more before he gets all the wind up and will finally let you put him down and get back into your own bed. The hiccups also reappear with force when he is teething. They last for hours on end and as soon as they stop, they pretty much start up again. Sometimes I've wished for an easy feeder, a baby who just eats, winds and gets on with it. Or I wish for another Miss S, a simple reflux case which disappears at three months and doesn't affect her that much. But in reality, this is part and parcel of who Mister L is and how our bond has grown. I feel like MissvS's reflux prepared me for Mister L. Prepared me to spot it quickly, to know what the problem is, and to alter the way that I mange it accordingly. I don't believe for one minute I would be as patient if this was my first reflux baby. I haven't always been patient, it's hard to be at 3am when you've slipped back into bed for the fifth time, just for Mister L to cry out again. But I do understand what the problem is and, over time, I've learned how to respond to it. I know to prop him up in the middle of the night, even when I worry it will wake him further. I know to make sure there is gaviscon in his night bottle because I'll know about it if I don't. I know that I'm lucky that it's "just" reflux. That my babies are healthy and happy. That a bit of night feeding, or a bit of vomit is all that I've got to deal with. I just wish it wouldn't always be sent to try me at 3am! I'm not good with no sleep, and vomiting and screaming at 3am definitely does not help. For those of you with new babies, trust your instincts. I knew that there was a hiccup with both of mine, and I was dismissed at first, but I was right. It's really hard for doctors to see what you see, when you are in a consultation room and your baby is mesmerised by the light changes and all the people. Keep on talking, reading, researching and you'll find the answer. You know your baby best, and you know if there is a problem. I feel like I say this all the time, but I wish I had found essential oils before I was pregnant and had given birth. Pregnancy is the one time in your life when you are likely to need medication to cope with the massive changes that your body is going through, and the one time in your life when there isn't really a great deal you are allowed to take. The same goes for labour and delivery. While you are allowed pain relief, it's not always just about the pain relief during labour. It's about your body being able to contract effectively, to progress through the early stages of labour, and onto transition and delivery. I read a lot when I was pregnant with S, possibly too much. So I knew all about so many things that could and would happen during labour, and following it. It was not good for my nerves! Driving to the hospital for my induction was the most nerve racking thing I had done, because I had absolutely no idea how my body (and my mind) was going to respond or be able to deal with it. There are some things that good old pain relief just can't take care of, like your nerves, or the strength of your contractions. In my case I had syntocinon to strengthen my contractions, because I was induced, but lots of people don't get that kind of help (and even if they do, their body might not respond to it like mine did). Balance is my number one essential oil to have on hand during a stressful day, and I can think of no more stressful day than the day that you are going to give birth. I love doTERRA's Balance blend because it is great at creating a sense of calming and well being. Spruce, one of the oils in the blend, has been used by Native Americans to bring harmony to the mind and body. Ho Wood, Blue Tansy and Blue Chamomile can soothe sore muscles, promote circulation and relax the body while the Frankincense supports cellular health and over all well being. I apply this at least twice a day as I love the way it helps get me back into balance and ready to tackle the next task head on. 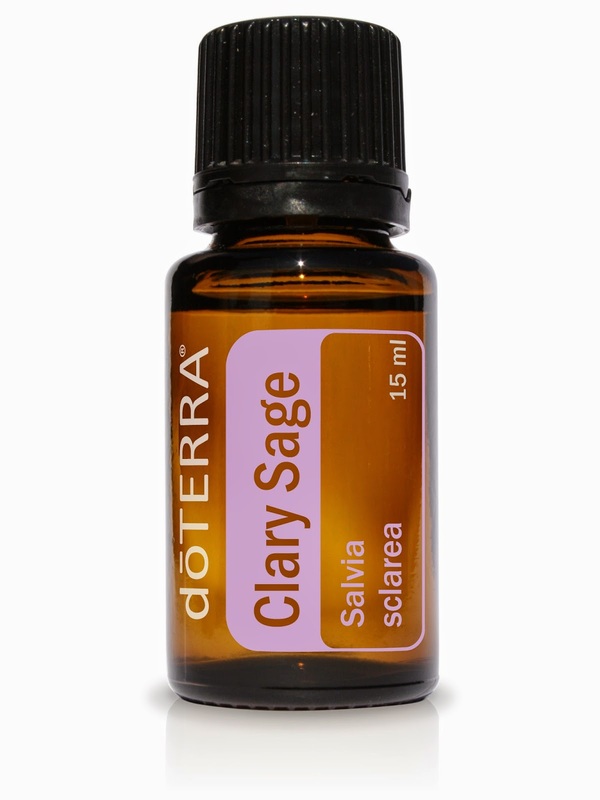 Clary Sage is a great essential oil for working with and supporting the female reproductive system. It helps to improve the function of the uterus and can help the body to produce strong and effective contractions. This would have been a must have in my bag because my body takes FOREVER to get from 2cms to 4cms, and then I go from 4cms to 10cms in less than an hour. Basil is a little underrated in my opinion. When I started reading into it and saw how much benefit it can have, I wondered why we don't talk about it more often. 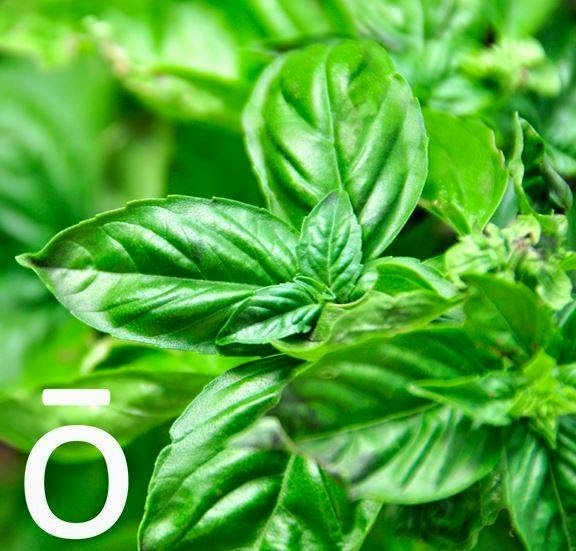 Basil is another oil that is extremely useful in supporting the female reproductive system. It is great at helping the body through the transition stage of labour (when your cervix dilates from 7cm to 10cm). 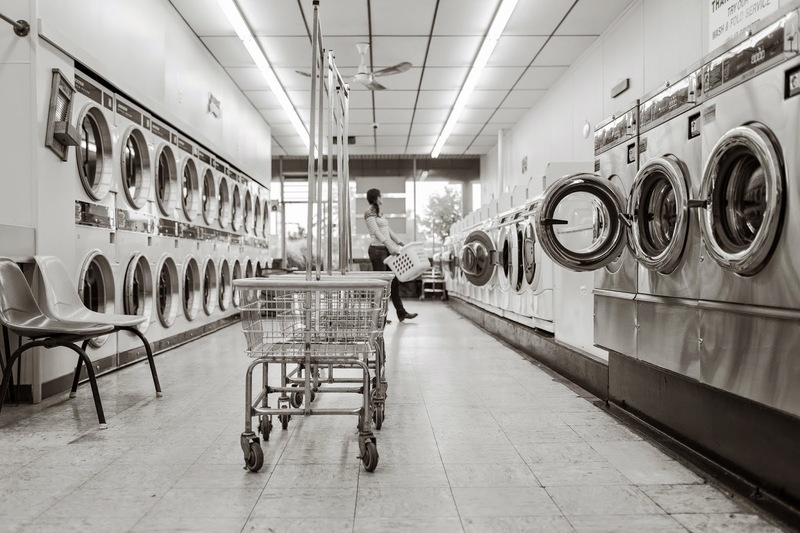 This is frequently talked about as the most difficult part of the labour, when a woman is likely to be feeling overwhelmed. Lavender is recommended for use for those in pre-term labour as it can help support the reproductive system and bring the body back into balance, enabling the body to ease those unwanted contractions. Lavender also stimulates circulation, so it can be helpful during the second stage of labour, the delivery. Personally, I really wish I'd had Lavender when I was in those first few days post partum. Lavender is incredibly soothing and I really wish I'd have been able to add it to the bath to help to ease the stinging of those scrapes and grazes that inevitable come with a vaginal birth. 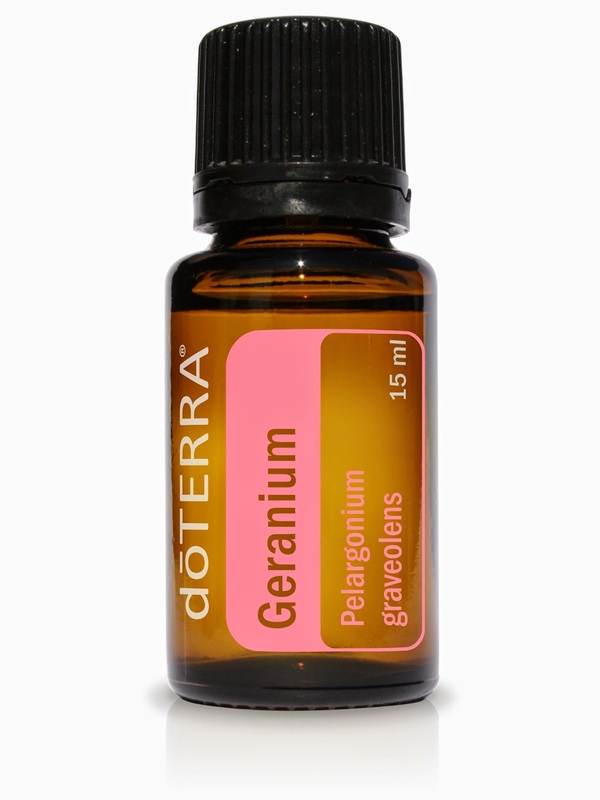 Geranium is an oil that you want to have on hand a few weeks before you give birth. It can be really helpful in supporting the perineum so that during labour it can better cope with the stress and strain of the delivery. I would add 5-10 drops to 1/2 a teaspoon of olive oil or other carrier oil and rub a small amount into the perineum in the weeks leading up to, and during, labour and delivery. Those are my five favourite essential oils for labour and delivery. Are there any more that you think are essential to add to your hospital bag? I always love posts where other bloggers reveal what's in their make up bags, so I decided it was time to practice what I preach and post my make up essentials here. There is a caveat to this, my tastes are subject to change at any time, and I'm always up for experimenting with new brands and products, so this make up bag may not be the same as my make up bag in a years time! 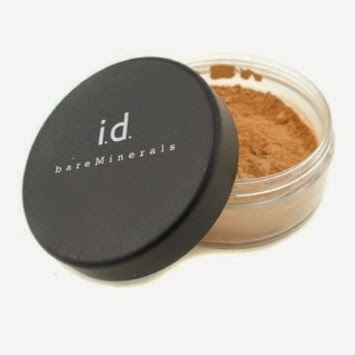 This has been in my make up bag for about a decade (not literally this same one, but the same shade). 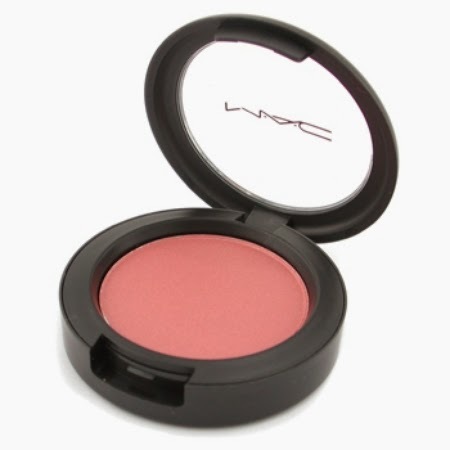 It gives you a gorgeous "just been out in the snow" blush to your cheeks. Beware though, a little goes a long way if you don't want to look like Peppa Pig. Despite the dark hair and eyes, I have ridiculously pale skin. I blame it on the thyroid and my lack of vitamin D retention because everyone else in my family manages to get and keep a tan! This concealer goes on well and it doesn't immediately vanish into the creases when I smile, always a bonus! I love this for a fake "just been lazing in the sun all day" look when I go out. It's not orange (despite how it looks) and it gives me just the right amount of bronze without looking a little odd. I have also been known to use it on my legs. I seem to have lost copious amounts of eyebrow hair since having two children, something else no one ever tells you. So now I need to draw them on a little bit! 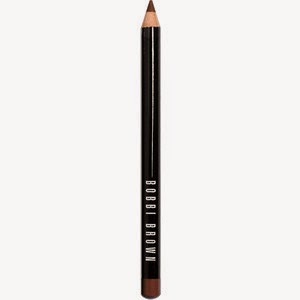 This is a great match to my own eyebrow colour and blends in really well and doesn't smudge half way down your face. 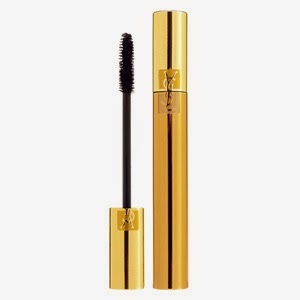 I bought this, despite already having the YSL mascara I talk about below, because I saw a comparison someone did of about twenty different mascaras and I loved how this one turned out that I couldn't resist buying it, even with a great mascara already in the cupboard. 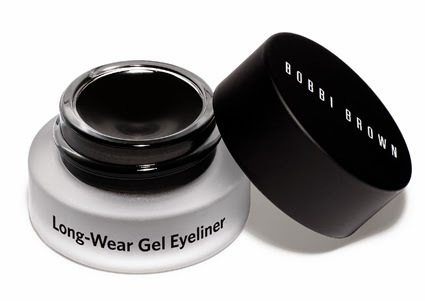 It goes on smoothly, doesn't clump and makes my eyelashes all bambi and fluttery! As you can see, I like my eyes black, black and black. My eyelashes are really dark (as are my eyebrows) and so brown eyeliner or mascara just gets lost and I look a little bit like I've been showered in sand. 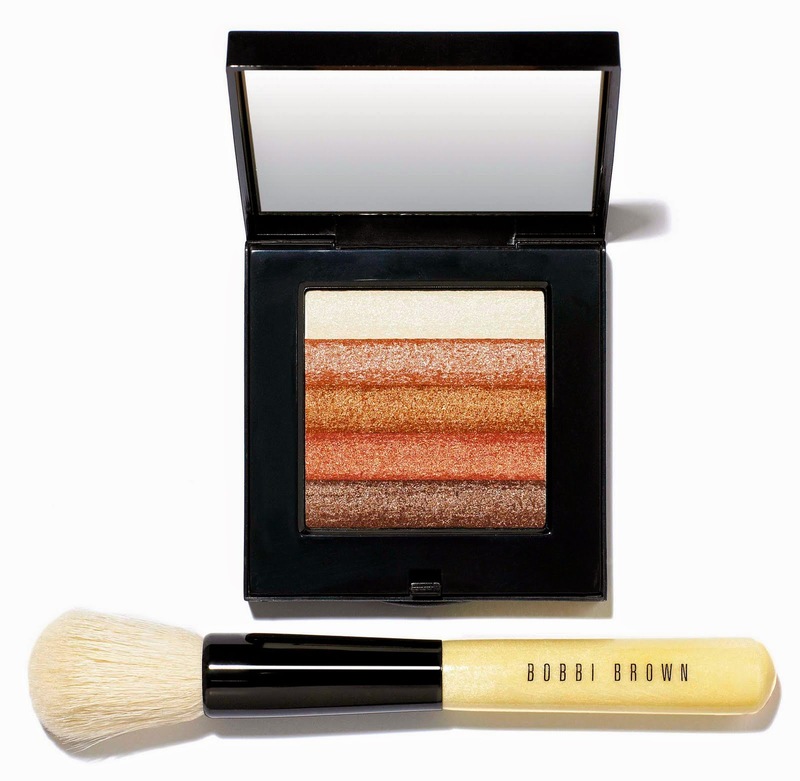 I have the matching eyeliner brush from Bobbi Brown and this goes on like a dream, even for me, as I tend to get shaky hands whenever I try to apply eyeliner. 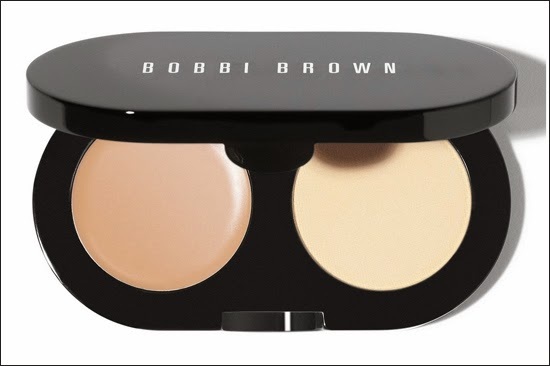 I'm not big on the matt look, so I always stick to the original version of this foundation. It goes on really well and lasts ages! I get good coverage and it doesn't feel like I'm caked in layers of foundation. Another plus is that it's natural, no toxins to be found. 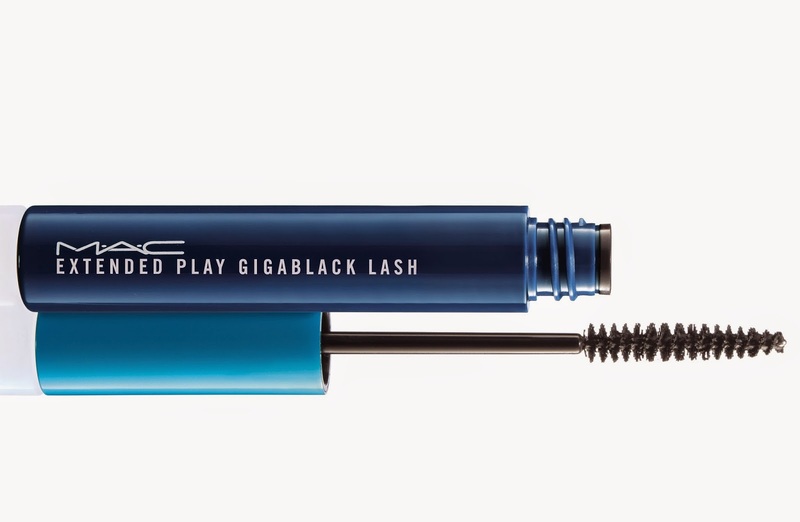 This has now been temporarily relegated to my everyday mascara while the MAC mascara takes centre stage. I have no doubt it'll get back into the top spot soon enough though. It gives me thick, voluminous lashes and they always look healthy and supple. It doesn't flake everywhere either, and stays put all day and night. 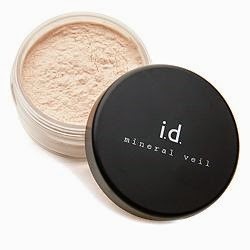 I love that this mineral veil gives me a light glow, as well as setting my foundation securely on my face. It feels lovely and soft on my skin too. So that's what is in my make up bag, what's in yours? 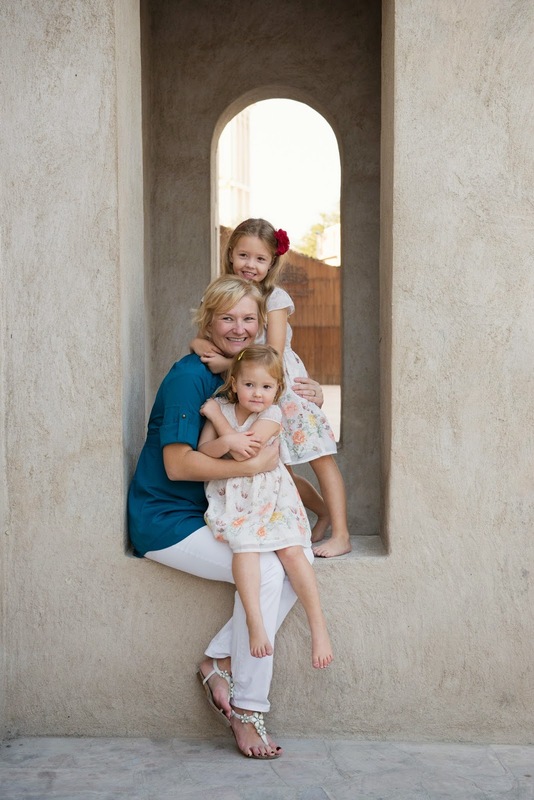 Today is brought to you by the letter M.
This gorgeous family photoshoot is by Natalie Robinson Photography, and it takes place in the Bastakiya in old Dubai. I absolutely love that this shoot shows a completely different side of Dubai, one that a lot of the tourists never see. I love the narrow streets and hidden archways that really bring this shoot to life. When Natalie sent it to me, I couldn't stop staring at these gorgeous images. 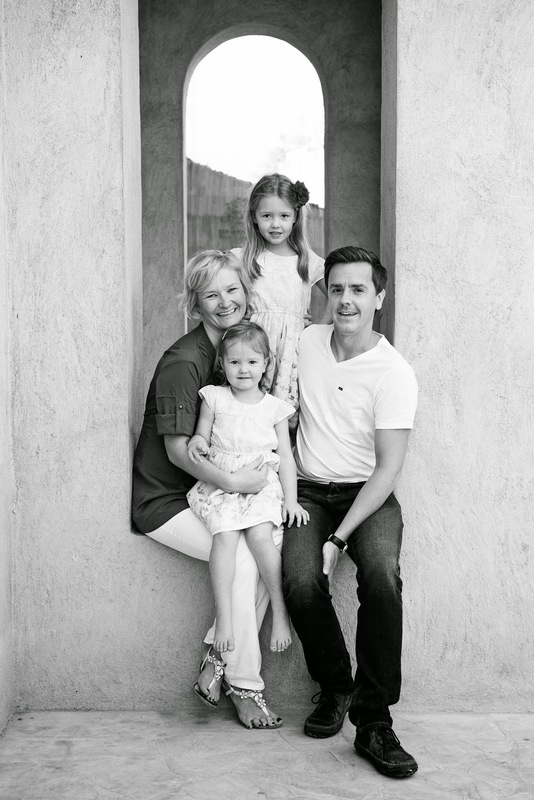 "I first met Maren and Mike and their two lovely girls back in 2013 when we did a family shoot at the beach. Two years on and it was definitely time for some new updated photos. 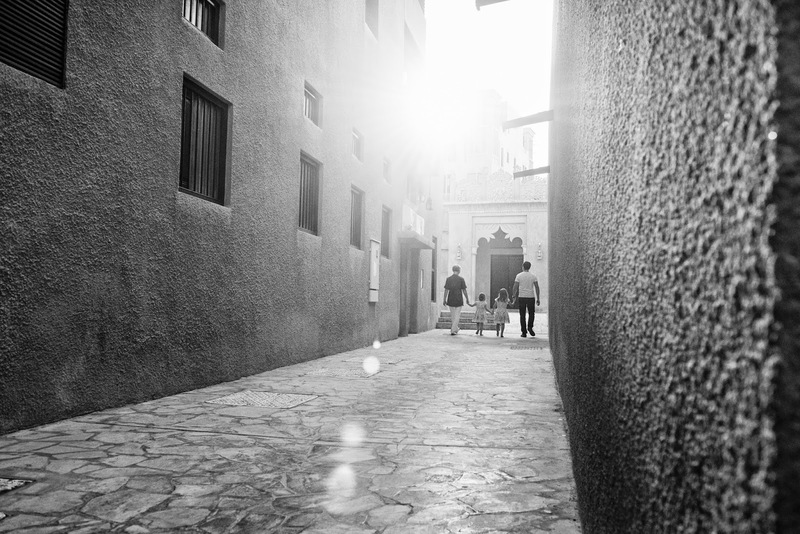 So, we chose the Bastakiya for a change - the light, lines and shadows are all amazing. 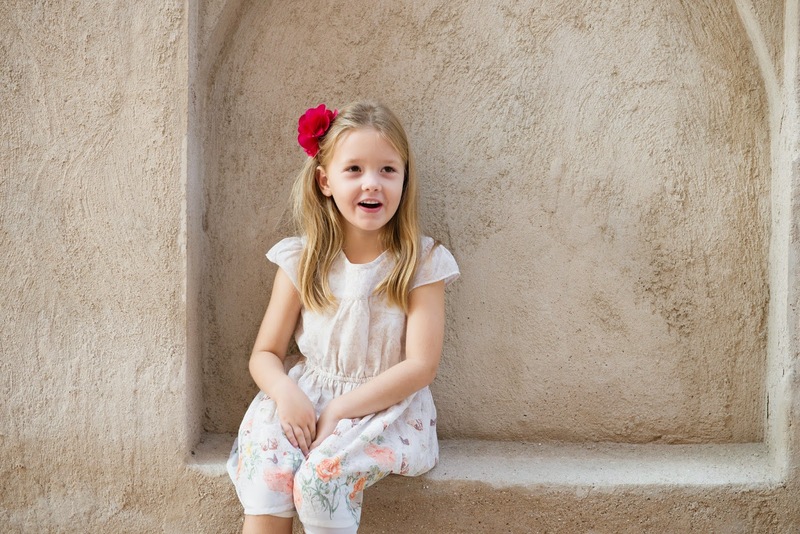 Its also the perfect spot for kids as they can explore the area; stay on the move and when they are worn out, head to one of the little cafes. I absolutely adore the images from this shoot; for me the ones that stand out the most are the sisters whispering secrets; the light in the alleyway; and the wide shot of Maren, Mike, Maia and Milena together outside the Bastakiya." So delve into these fabulous images, I think my favourites are the ones of the sisters together, there is something magical about seeing siblings interact in their own little world. To see more of Natalie's work, you can find her on Facebook or on her website. It's hard being away from family and friends when there are special occasions to be celebrated! I love celebrating with my nearest and dearest, and for me, spending time with those I love is much much more important than the presents. As we live over 3000 miles away, I can't be there with you today, mum. I was lucky that you were in Dubai last year for your birthday, and I know I can't have it all my way all the time! I just wanted to let you know how much I love you, and how much I wish I was spending today with you. I hope you have an amazing day and that you know exactly how loved you are, not just by me, but by all of your family and friends. I'm really lucky to have a mum who is so involved and so supportive. You have traipsed across continents to see us so many times, and have been the first to offer to leap onto a plane whenever I'm sick or even just a bit down. I know you would do anything for me, and for my family, and that means more than I can say. I love you, and I miss you. Open some champagne and eat some cake, I'll be raising a glass or two here for you tonight. One year older, but as glamorous as always. My immune system, or rather lack of it, was what actually led me to taking essential oils a little bit more seriously than I had before (before I just thought they were stupid). But when my immune system was low and I was getting every bug and cough and cold that was going round, I started to look for different ways I could improve my health and support my immune system at the same time. That's when I found doTERRA and the amazing essential oils that can support your immune system. So here are my five favourite essential oils for boosting your immune system! On Guard is doTERRA's protective blend. It contains a blend of Wild Orange, Clove, Cinnamon, Eucalyptus and Rosemary essential oils to really help support the immune system and to help your body deal with the bugs before they knock you out! I apply this to my big toe every morning to give me an immune boost and I also diffuse it whenever the bugs are circling. Basil is a sneaky little essential oil because it's not often talked about. 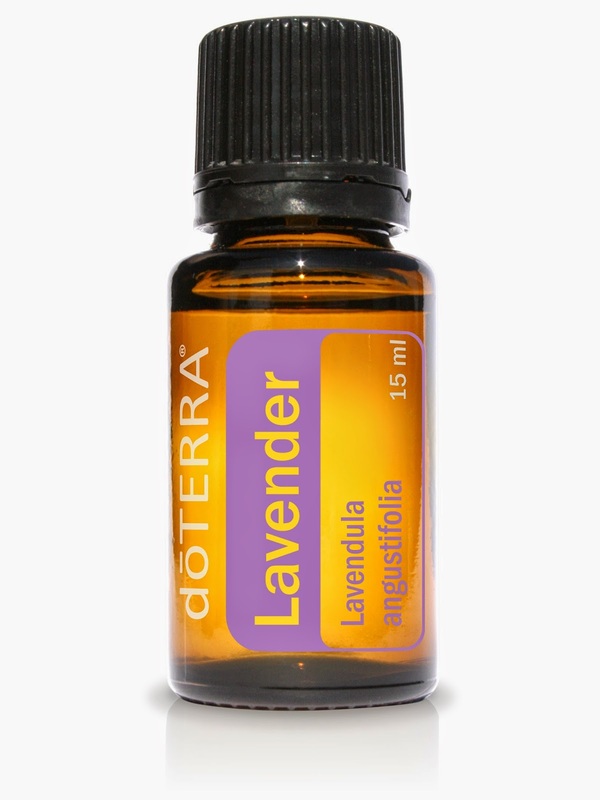 It's not like Lavender of Melaleuca (Tea Tree), which most people have heard of, even if they have no idea about essential oils. Basil is one that is usually over shadowed by other more sparkly oils and yet it's such a great base to have around. It supports so many of the body's systems such as the reproductive system (and it's even great for helping the body through transition while a woman is in labour) and the respiratory system. Basil is also great for supporting sore or injured muscles and tendons as the body works to heal the damage and helps the body to boost the immune system so that it can take care of mouth ulcers and muscle spasms that are often the body's hints that the immune system isn't coping with the demands being placed upon it. I've only recently added Basil to my collection (it skipped my notice at first too) so I'm only just discovering the ways in which to use this fabulous oil! Basil is safe to be used on children, I would always dilute any essential oil to be used on children as they can have sensitive skin. Consult a doctor before applying Basil essential oil to the skin whilst pregnant, and do not ingest Basil while pregnant. This essential oil scares me a little bit (and not just because it's a hot oil and I once burned my mouth off by licking my fingers after having touched the bottle!) because of how powerful it is. In scientific research Oregano essential oil has been found to be effective in the fight against MRSA! That's how powerful this essential oil can be, and why it should be used as and when necessary, rather than every day. I apply Oregano essential oil (diluted as it's a hot oil that can burn sensitive skin) to my big toe whenever I come down with something or other and use it until whatever sickness I have has passed. It is amazing at giving your immune system that kick up the backside it needs to fight off infections and bugs. This oil needs to be heavily diluted, before being applied to the skin, for all users but particularly in children. If you are pregnant you should consult a doctor before using Oregano essential oil. Oregano essential oil should not be ingested by children or if you are pregnant without taking doctors advice. It must feel like I talk about Frankincense all the time! I'm sorry if I'm getting boring, but Frankincense is an extremely versatile oil and I use it in practically everything! Frankincense is a great oil for helping the body repair itself on the cellular level. It has also been shown to cause the cell death of human leukaemia cells during a research study. On Guard has Frankincense in it's blend, but when I am sick, I apply Frankincense to the skin wherever the problem is, to enable it to get to work at boosting the immune system and supporting the system of the body that is struggling. So if I have a cough, I apply it to my chest. Frankincense is not a hot oil and so it is safe to be used on children and while pregnant. However, I personally would always dilute any essential oil to be used to children or if you are pregnant. Thyme is one of the oils that is particularly good at supporting the body as it fights bugs that invade the respiratory system. Personally this is the area that I suffer most with and if I'm going to get sick, it's almost always the respiratory system that gets it. I've had bronchitis multiple times and I find it really hard to shift. Plus I'm almost certain to get any cold that is going around. I apply this oil to the chest whenever I have a respiratory flare up, to help the body get started on shifting the crap that is inevitably sitting on my chest and in my lungs! Thyme should be diluted as it can be irritating to the skin if applied neat. It should also be avoided if you are pregnant. If you have high blood pressure you should consult a doctor before using it and even then, use it with caution. Should not be ingested by children under six years, and only when heavily diluted, and used with caution, in children older that six years. So there you are, my five favourite essential oils for boosting your immune system! I hope that helps and that doTERRA can help you to have a more robust immune system when the bugs come calling. My music taste is nothing if a little eclectic. Don't get me wrong, I'm a teeny bopper pop princess at heart, and my music collection is full of what Gary tends to call "crap". 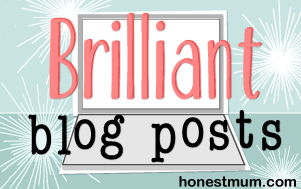 But, and it's a rather big but, when I assemble a list of my favourite songs of all time, there are a few random ones thrown in there for good measure! I was about eight months pregnant with S when this song came out, and it was the one thing that brought out the hormonal tears, as I was usually pretty good with controlling the crying. Very bittersweet song, but it just sticks with me. This song has been a long time favourite of mine. I don't know what it is about a man singing about his girlfriend who keeps leaving him and his cat called moses, but it just calls to me! Jessie paints pictures, and I love the pictures in this song. This song now reminds me of our wedding day, which is random because it wasn't played on our wedding day, and I didn't even hear it for the first time until months later. It is, however, part of the soundtrack to our wedding video by the amazing Shade Tree Films, and it's so beautiful that its woven it's way into my heart. This is one of the songs from my childhood. Whenever I got in the car with my mum and Ian, either The Beautiful South or REM would be playing. This was definitely my favourite song from The Beautiful South and it reminds me of sunny days driving off on some kind of adventure, along with lots of laughter and too many people squashed in the car! This Irish girlband only released one album, and it obviously didn't do so well because they didn't release another one. Which is a real shame because I loved the album and the songs were great (even if they did rip off a song from Lady Antebellum which seriously annoyed me!). This was my brother's absolute favourite song when we were kids. When we were in the car with my dad, this was pretty much on constant repeat! So it's stuck in my head and is now one of my favourites, it even eclipses Moon River, so clearly repetitive listening makes you love a song. You can tell I'm British (and Northern) from this one! No idea why I love it, but I just do! This was our First Dance at our wedding. So obviously it has amazing meaning, especially all those hours we spent learning our choreographed dance (it took us forever). Definitely need to get the video out and give this dance another go on our anniversary this year! Yes, I have only ever heard this song because it's on the Twilight Soundtrack (don't judge), and yes, I love it so much more than I thought I would, need to listen to more Muse! This song was played over and over when we went to California hunting for wedding venues! I love this song and it always makes me happy when I hear it! So there you have it, some of my current favourites! I'm sure that gives you some really weird insight into my psyche! I have so many more, too many to mention on one post, so I'm sure I'll return to this at some point! It was a long road, a longer road than I expected, just to get my diagnosis of having an underactive thyroid. I was a little bit of a strange case, because my blood results often didn't tally with how I was feeling. It was only when my thyroid antibodies were tested that they found that they were about ten times the upper limit of the blood test. 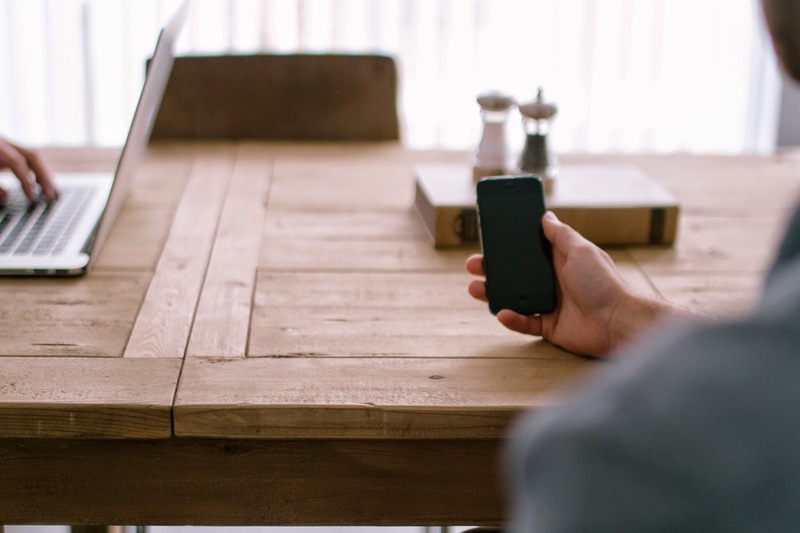 For a long time my diagnosis went undiscovered, so when it finally came, I felt relief. I thought that it would be a simple fix, that I could pop a few pills and get back to normal. I was wrong. My underactive thyroid is an autoimmune disease, so essentially my body attacks my thyroid because it considers it a foreign body. The trouble with one auto immune disease is that it leaves you extremely vulnerable to other autoimmune diseases. Those with diabetes, for example, are much more likely to develop an auto immune thyroid problem. It also leaves you more vulnerable to a whole host of other small problems. When my thyroid is out of balance, it affects all parts of my system. It's a teeny tiny gland that can wreck havoc on your entire body with one fell swoop, and it does. 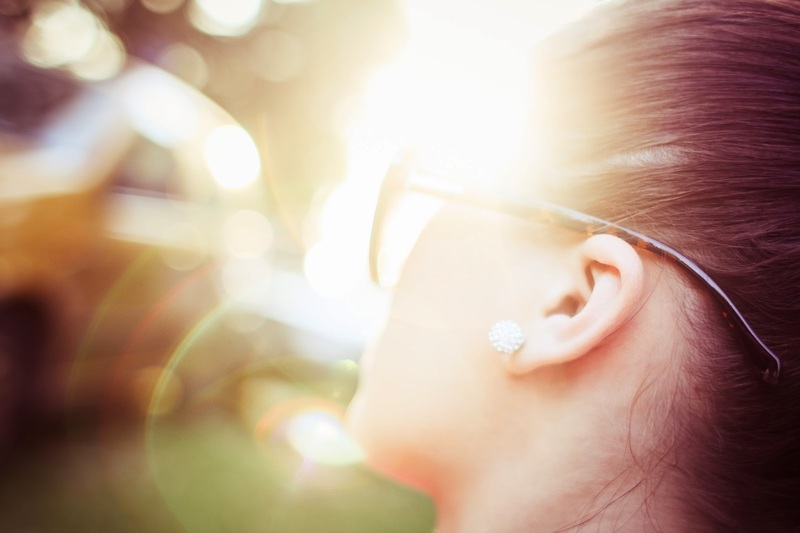 I am often lacking in vitamin D, vitamin B (most of them) and iron, because my thyroid disease means that my digestive system often struggles to absorb the nutrients I am putting into my body, even when I'm working hard to put lots of the right nutrients in. My eczema flares at random intervals (another autoimmune disease) and if I don't take an extremely strong birth control pill, my skin becomes covered in acne, reminiscent of a teenager, because my hormones are out of whack. My body, it appears, after years of working through different obstacles and blood tests and seeing numerous different doctors, is more sensitive to what I eat, how active I am, and most importantly, how much sleep I get. When my diet is bad, and I'm not eating vitamins and minerals by the bucketload (which was pretty much my only diet for years on end, I am a chocolate and cake fiend), my vitamin D, B and iron levels take a huge tumble. Gluten seems to exacerbate my digestive upsets and my eczema. Too much dairy seems to flare my acne. I'm a complete witch if I don't get enough sleep, irrationally so. 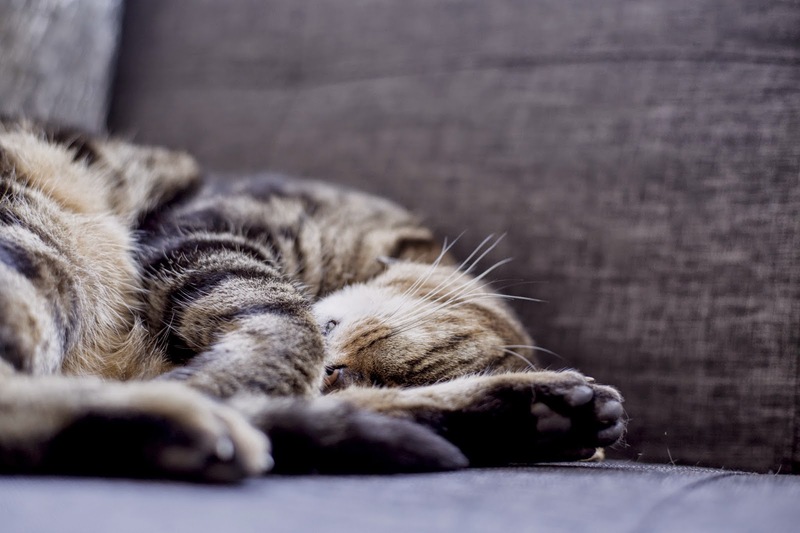 I spend so many nights lying awake because when my thyroid is off, one way or another, the insomnia kicks in, and no matter how exhausted I'd been all day, I can't get to sleep for hours. In short, a few pills is not going to be the magic solution I had hoped for. In order to feel well, to feel normal, it seems I have to overhaul my entire lifestyle. My diet has to be mainly great, and I have to get enough rest and enough exercise. Then I have to balance my vitamin D, B and iron levels and make sure I'm monitoring my thyroid medication to make sure it is still the right amount for me. It's a lot to balance, a lot to keep an eye out for. Feeling well is usually sitting on a knife edge, and I'm always waiting for the next time the other shoe drops and something slips. Then it's a waiting game, to try to figure out what has slipped, what needs to be increased, or decreased. It's not always clear in the blood tests either, so often it's trial and error. Sometimes I feel like I spend too much time worrying about my thyroid, and what it's doing to my body. It's hard, when I feel well, feel like normal, to even remember what it is like to feel off kilter. To feel your hormones take over and sweep you away, and you feel powerless to stop it, even when you understand what is happening and why. Those bad days are lessening though, now that I am working out my diet and exercise. Now that I'm taking care of the slightly damaged parts of me. I'm hoping that I begin to feel normal most of the time, once we all get a little bit older and our kids are sleeping that bit more consistently. I hope that someday, my thyroid problems fall, bit by bit, to the back of my mind, that it stops being a consistent worry and concern. I hope that one day I truly get a handle on what it is that I need to do to keep my healthy, and that I have the commitment to keep it up, no matter how hard it might feel.